The Fundraisers held their signature annual Bargain Basement Sale on Sunday 11th of November 2018 at the Gulberg Galleria Mall, Lahore. This year’s #BBS18 raised over SIX MILLION for charity. This year all the proceeds from the sale will benefit six charities working for education and healthcare. These include 1) Pink Ribbon Pakistan, towards building the first breast cancer hospital in Pakistan; 2) Rising Stars Foundation (RSF) for co-ed schools in Swat and Uch Sharif for the underprivileged; 3) Lahore Hospital Welfare Society, for the Shams Shahabuddin Convalescent Home; 4) Door of Awareness, for education of street children in Lahore; 5) The Giving Tree for providing cancer comfort totes to chemotherapy patients, and 6) Sunbeams School System, that operates a network of self-sustaining schools in rural Punjab. The first tier sponsors of the event were Sapphire and Arif Sons. The second tier co-sponsors included Sabroso, Interwood, Guard Filters and Gulberg Galleria with PR by Lotus and a radio media partnership with City FM 89. 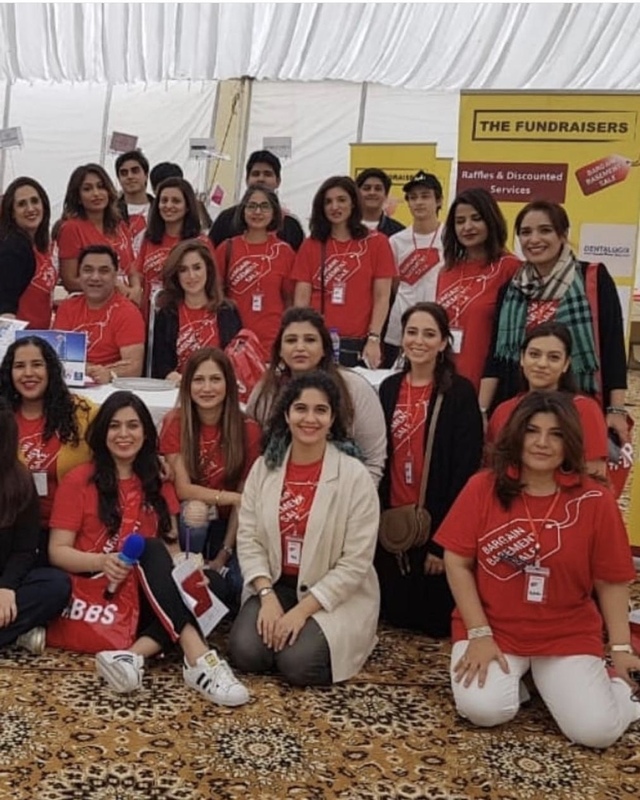 In addition, BBS partnered to provide logistical and technological support for this year’s sale with: SimSim Pakistan, Easy Tickets, Autosoft Technology, Lumensoft Technology and Daewoo. This year’s annual sale brought together hundreds of the best Pakistani fashion and lifestyle brands under one roof. All brands generously donated items sold at the event at 50% off their retail value. Clothing items ranged from high-end couture, bridals, semi-formal and prêt-à-porter along with beautiful jewellery pieces, art, home accessories and furniture from over 200 brands. The popular BBS Vintage Section pulled in a big crowd and this year’s sale was equally fabulous filled with brand new or pre-loved and gently worn designer items for charity along with furniture pieces. This section had international designers which included exquisite pieces by Fendi, Bulgari, Manolo Blahnik, Gianni Versace, Gucci, Valentino, Tory Burch, Victoria Beckham, Christian Dior and Coach but to name a few. 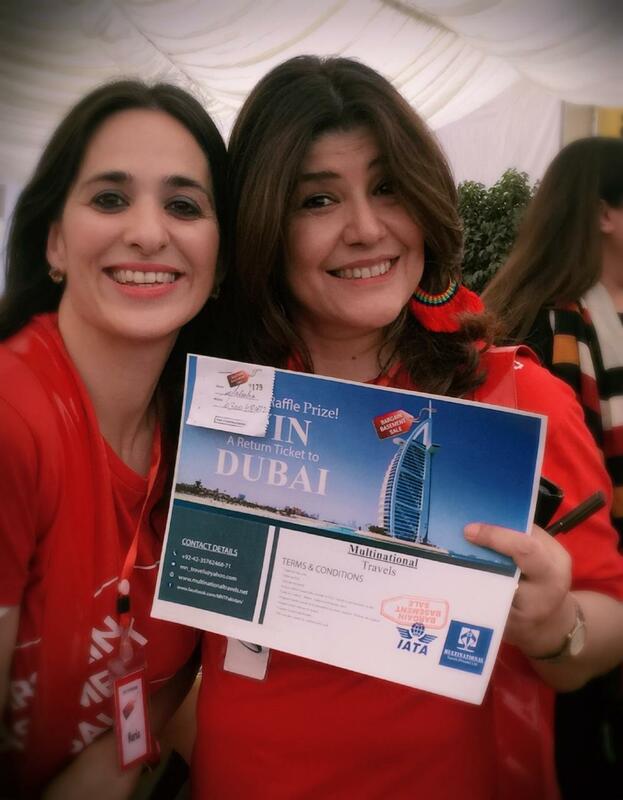 The BBS grand Raffle was additionally on form with several extraordinary prizes including flights to Dubai sponsored by Multinational Travel and SNS Travels, and weekend night stays at The Nishat Hotel in Lahore, and Hindukush Heights in Hunza. Raffle prizes also included meal vouchers at Lahore’s finest eateries, treatments at local salons, fresh baked goods by various bakeries and even a motorbike donated by Ravi Motorcycles towards The Fundraisers BBS cause. An annual Auction was also held, where art lovers had the unique opportunity to bid on and purchase discounted art by venerated artists. These included stunning paintings from Pakistan’s leading contemporary artists: Nazia Ejaz, Shazly Khan, Farhan Manto and Hussain Chandio. Official Hashtags: #fundraisersBBS #BBS18 #fashiongivesback #6supercharities.